Steve Gandara - Excellent Cultures Inc.
Steve Gandara has spent nearly four decades helping leaders build High Performance Business Cultures. He is a highly skilled culture architect, effective leadership mentor, dynamic speaker and a knowledgeable business consultant. His unique ability to combine the science and art of leadership with all the complex pieces of the organizational puzzle to produce specific, actionable clarity ensures his clients achieve great successes. Clients praise his expertise in helping them devise strategies that build leaders and cultures that make up the rapid, mobile, dynamic, flexible and innovative winning teams demanded in today’s highly competitive global economy. Steve & his colleagues developed Excellent Cultures’ unique, four-step Winning Team Culture process over many years of data gathering and real world organizational experience. The process has now become a fully tested and proven strategy for fast sustainable results and record returns on investment for his clients. For nearly forty years he has served clients ranging from Fortune 50 corporate executives, business owners, entrepreneurs and sales executives to labor-union leaders, non-profit & public sector executives and members of the clergy as a professional leadership mentor and business culture architect. 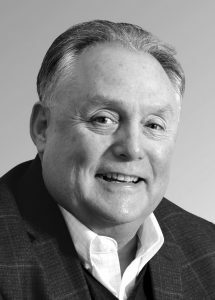 These decades of executive and leadership coaching, business consulting and mentoring experience have provided Steve with an abundance of real-world applications for his formal education from the University of Oklahoma and Texas Christian University in Business, Economics, Marketing, Management and Leadership. Excellent Cultures’ clients give Steve credit for helping them achieve breakthroughs in leadership, people performance, and business culture as well as balanced lives to include the record cost savings and revenue increases that follow. Steve has also co-hosted BizCulture Matters, a weekly radio show featuring excellent leaders who have built great cultures that have achieved breakthrough successes. The show is available via podcast at https://excellentcultures.com/podcasts and on iTunes and Stitcher. A retired US Army Reserve Officer, husband to Denise, his wife of over forty years, father of two natural and nine adopted children with six grandchildren, Steve leads a busy life. When not meaningfully engaged with family or clients, he has served in volunteer positions as a high school youth mentor, school board member, licensed foster parent, minority scholarship fundraiser, church board president, social service charity board chairman and College Board of regents chairman. Steve has also taught college classes in entrepreneurial leadership and speaks regularly to college and university leadership classes.